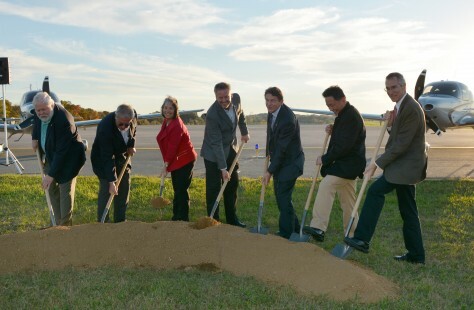 Duluth, Minn. (02 November 2015) – Cirrus Aircraft today announced the groundbreaking of the Vision Center at McGhee Tyson Airport in Knoxville, Tennessee. Cirrus Aircraft Co-Founder and CEO Dale Klapmeier addressed the crowd Thursday during a ceremony for the new customer experience center that will be the first of its kind in general aviation. With shovels in hand, Klapmeier, along with other state and local dignitaries, officially broke ground on the new facility signifying a new era for Cirrus Aircraft.